The best part about this boxwood wreath diy was I only needed a few supplies! To create this wreath I simply attached the entire garland onto the wire wreath form using the floral wire. There really isn't much more to explain! The green wire blends in nicely. I precut a bunch of pieces of the floral wire in about 2 inch lengths, and attached the garland to the wreath form every few inches or so. After poking my finger with the wire a couple of times I realized it was easier to use the pliers to twist the wire onto itself! This is what it looked like after the first garland was attached. I continued the same process with the second garland, wrapping around the wreath form in the same direction as the first. I created this welcome sign using my cricut of course! Here is a side by side of my diy boxwood wreath and the one from Michael's. I have to say I'm loving the un-manicured look of mine. Theirs is on sale for $79 now, while mine cost under $15 to create. 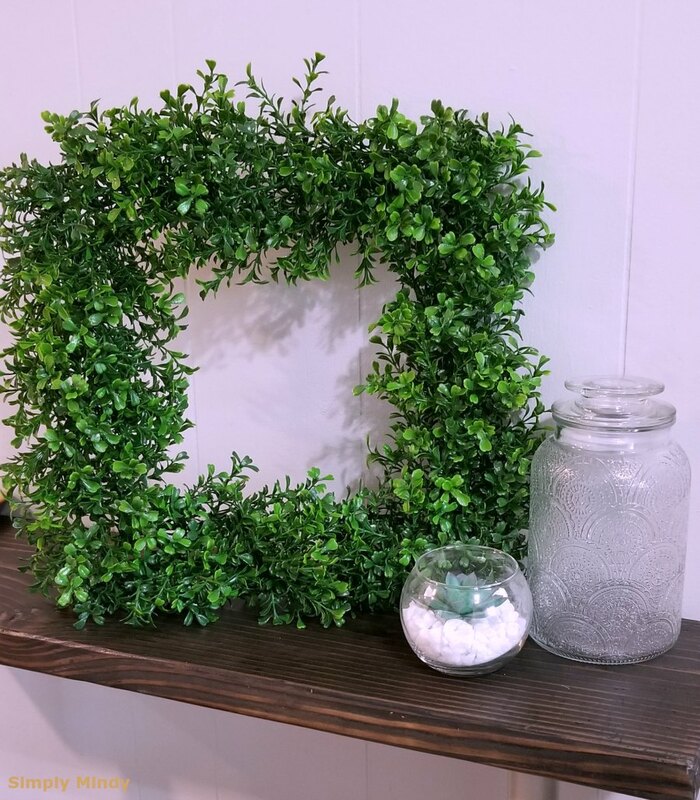 If you are going to try this boxwood wreath diy be sure to sue your coupons when shopping to keep costs low!